Mirrored sunglasses are officially the bomb. 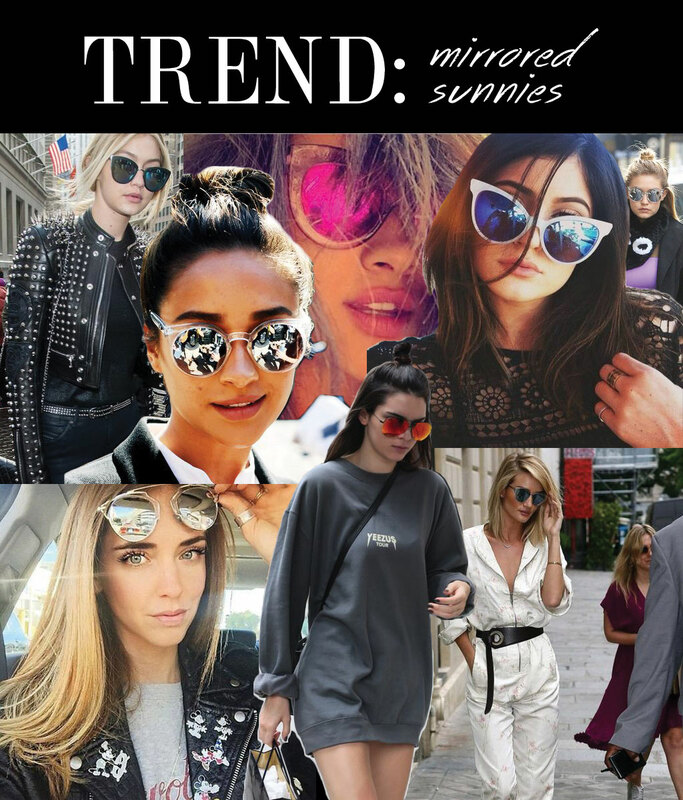 From Gigi Hadid to Kendall Jenner and everyone in between, reflective sunglasses can make a casual outfit that much cooler. It’s safe to say the trend was revived when Olivia Palermo debuted the Dior So Real reflective sunnies and since then they are here to stay in every shape and colour. We are obsessed with the Vienna Reflective Mirror or the Norway Geometric. If you like the traditional aviator style (guilty) we have the Mexico Mirror Aviators and the super popular Bulgaria Round sunglasses. Shop all our sunglasses here.